Research carried out in the Department of Earth, Environmental, and Planetary Sciences tends to be collaborative and interdisciplinary. 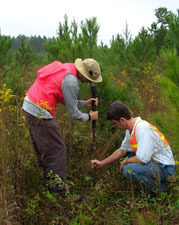 Many projects involve researchers in other departments and schools within the University, and at other institutions. 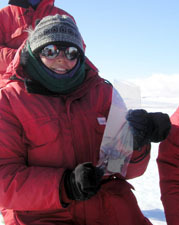 The Department is also well known for its high level of student involvement in research. Undergraduates pursue research during at least their senior projects, though often earlier. Many undergraduate and graduate students have won awards for their research and have published their results in high-profile international journals. Research groups within the Department of Earth, Environmental, and Planetary Sciences pursue a wide variety of research projects that reach from the depths of the Earth’s core to our planet’s surface and to the far reaches of the Solar System. 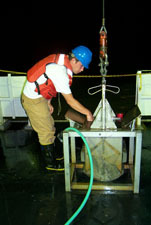 Research within the Department is primarily supported by funding from federal sources, including the National Science Foundation, National Aeronautics and Space Administration, the Environmental Protection Agency, the Department of Agriculture, and the United States Geological Survey; and from state sources including the Ohio Coal Research Consortium.